Welcome to Roadside Peek's Signage section. 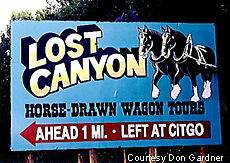 This area contains material on Roadside Signage as well as specialty signage, as found below. So sit back and take a virtual trip down a boulevard that was once found in every city. For better or worse, liquor stores can be found near every neighborhood and have been around for decades. 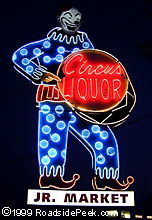 Some of the best roadside signage around are on liquor stores. Check out Roadside Peek's Liquor Store Signage for samples of these treasures. 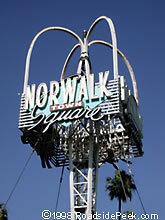 Some of the most unique signage around is identified as Googie Signage. Check out this special section and see if space age pop comes to mind. 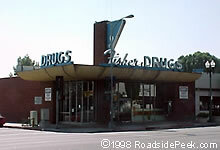 Although many dairies are slowly changing their old signs, much still remains of these drive-up convenience stores. 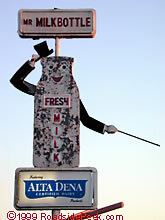 See Dairy Signage and check out these wonders. A close cousin to Roadside Shops is Shopping Center Signage. These huge marquees catch the attention of potential shoppers for blocks and many light up in neon as well! Check out the signs and buildings of the vintage Roadside Drug Stores that used to permeate Main Street America before the advent of chain drug stores. 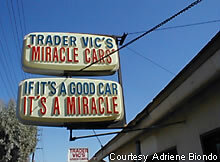 General Roadside Signs can advertise just about any type of business. See many varieties here at Roadside Peek's Other Roadside Signage. Dry cleaners can be some of the oldest establishments in a town. See some unique cleaners and retro signage Roadside Peek's Cleaners Signage. 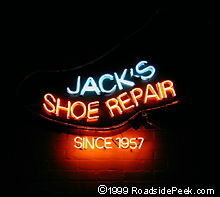 Neon Signs can light up a whole town and bring life to even the dreariest of areas. 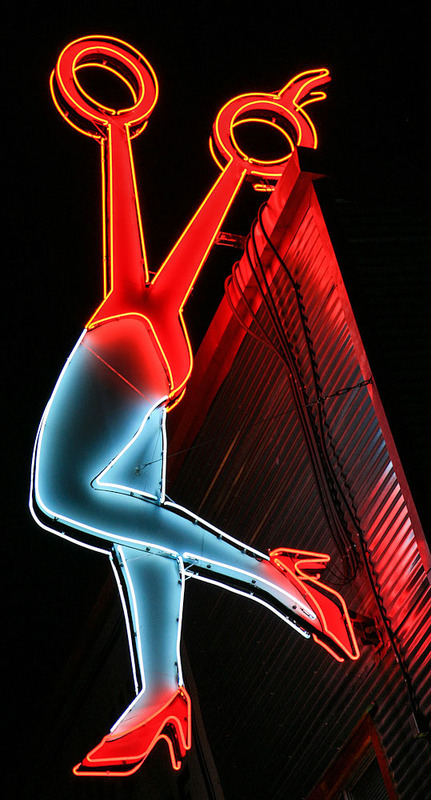 At Roadside Peek's Neon Signage, see signs in all their tubular glory! Last but not least, the newest edition to Roadside Peek's signage section is Fun Signage. Here's signs from the Orient at where else but Roadside Peek's Signs of the Orient. 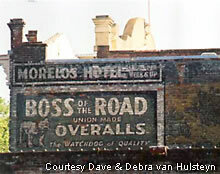 Back in the day, many of downtown and industrial businesses would advertises their businesses through painted signs on their buildings. As time goes by, the paint fades. On others, signs are painted over. See some of the ghost signage of the past at Roadside Peek's Ghost Signage. Roadside billboards are a large part of the highway landscape, advertising all types of services and goods to catch the eye of the roadside traveler. See some of these billboards here at Roadside Peek's Billboard Signage.